Want to learn about a new cryptocurrency or an altcoin? Well, you are at the right place. At CoinSutra, we keep covering new cryptocurrencies every month that has a fundamental use case. That is because a crypto without a use case will anyway be dead in the future. We don’t speculate. Instead, we do a fundamental analysis of cryptocurrencies in our radar to segregate gold from rocks. We have covered more than 20 cryptos thus far and all are doing pretty well. On similar lines, the cryptocurrency we are covering today is Waltonchain. 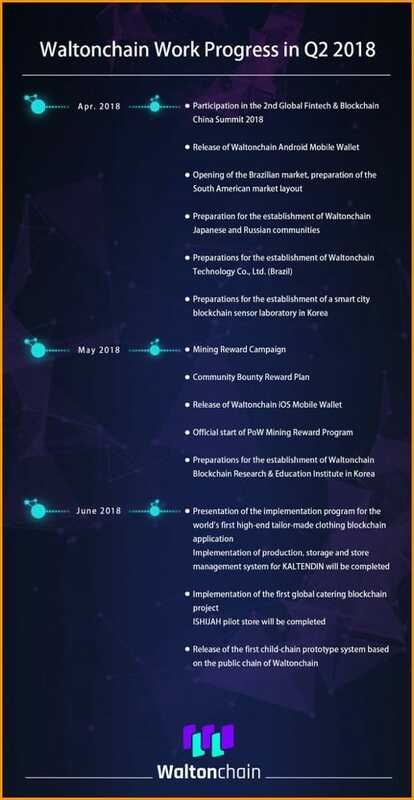 Waltonchain is a very interesting blockchain project that is working on software as well as hardware infrastructure to make the world more connected and informed about the decisions we make. The project was launched late in 2017 but has been conceived and worked upon since 2015 by its founder. 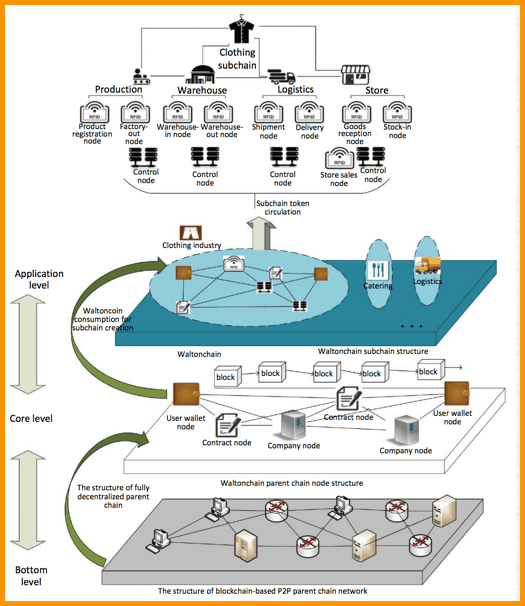 It is a supply chain management project as I have explained in my ‘Top Supply Chain Management Blockchain Projects‘ article. Note: The name Walton is derived from the name of Charlie Walton, the inventor of RFID technology. Waltonchain has developed special purpose patented RFID chips that are very small and cheap enough to be embedded in many products across various industries. And the good thing is, they have their own chip technology, manufacturing which makes them independent in this competitive world. On the other hand, they have developed their blockchain in-house which is compatible with the present Ethereum technology as well as inspired by DASH’s proof-of-work algorithm. Walton blockchain works upon a hybrid of proof-of-stake and proof-of-work consensus mechanism where mining and staking both happens. Further, to avoid future scalability issues, it has incorporated parent chain and child chain structure (side chain). This will help it avoid congestion problems in the parent chain just as Ethereum faces today. Plus, their child chains are customizable according to the business needs of their partners without compromising additional benefits. 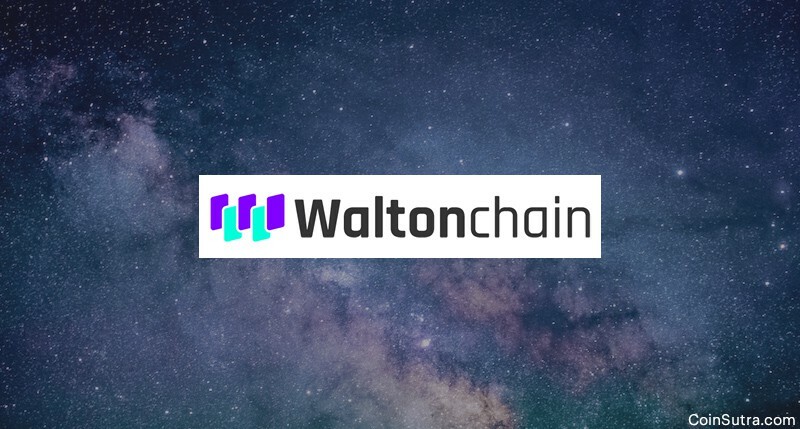 And operations on both chains and across the chains are fueled by Waltonchain coin or cryptocurrency (WTC), which is the fuel of the Walton ecosystem. Any business partner with Walton can just form an independent side chain or child chain to record data which is very specific to their business needs. It also helps them grow and bring transparency in their supply chain. For example, let’s say there is a very prominent designer who sends her designs to 50 retail stores across the United States. Now, she wants to understand in real time, in a transparent manner how to improve her designs. These are critical questions for which finding the data in a fair and transparent manner is difficult. But with child chain implementation on Waltonchain, which is powered by RFID tags on the actual products, it is easy. In the actual store when RFID tags are attached to products/items they can interact with the nearby sensors and can keep writing the data on the blockchain. And the data such as buy rate/rejection rate, grab rate, put-back rates can be seen by the designer on the blockchain and hence she can now get better insights to improve her designs. Let’s say a critical drug is moved from the manufacturers to the retail shop. And the drug needs to be strictly under 10-degree Celcius, failing which will damage the drug and make it ineffective for the patient. In such a scenario when the drug changes so many hands in transit from the manufacturing unit to the retail shop, Waltonchain and its RFID tag embedded in the drug’s package can record the real-time data on the blockchain. This helps in effective audit, management, surveillance as well as contract management while the drug changes hands. It becomes easy to find whether the consignment of the drug was handled properly or not and if not, whose mistake was it. Waltonchain is developing another hardware such as RFID gun scanners through which one can do inventory management at any time in the supply chain management cycle with a single scan of the whole items or consignment and feed it to the blockchain. This way it is much faster, reliable and insightful in managing inventory in a godown or in a retail store. The team is impressive and experienced. It comprises the right industry people that you need for a project like Walton. It has RFID and VLSI experts, IOT experts, supply chain veterans and of course blockchain experts. Take a look at the full team here. Total fixed supply of WTC is 100 million WTC out which 70 million is floating in the market. According to CoinMarketCap, the total circulating supply of WTC is 70,000,000 WTC, and the current price of each unit is $3 That values it at approximately $119 million (at the time of writing this article). Buying WTC for fiat currencies like USD, EUR etc is not possible as of now but with its popularity, you can expect such pairs also in time. However, the details are not quite clear and moreover, for masternodes, the minimum limit is of 5000 WTC coins and for POS rewards there is no such cap. Right now, WTC Ethereum-based tokens are being swapped for actual WTC coins on the Walton blockchain and hence the scenario will be clear once the swap is completed. I will keep you updated, so watch this space. WTC is an ERC20 token so you have plenty of options for storing your WTC tokens safely. Some of these options have been listed below and will help you keep your WTC safe. Walton’s future looks promising as they solve a critical problem of supply chain management with the help of their in-house RFID technology combined with IoT blockchain. Plus, so far they have been hitting the targets well and achieving milestones in terms of partnerships as well as development. But they will certainly face competition in this niche from Vechain, which is another supply chain blockchain with more than 200 use cases/partners waiting to be implemented against Walton’s 6. Lastly, Walton wants to explore its future in areas of efficient management, smart agriculture, smart medical care, smart food traceability, and smart art industry etc but there is certainly time for that as they will be first focused upon stabilizing their mainnet they recently launched. That’s all from my side in this introductory round-up of Waltonchain Cryptocurrency. Sudhir, I have just started reading about Crypto-assets and trying to learn more because I plan to invest some before August – which I heard is when the price is really going to rise based on past behavior of the market. I came across your article about another cryto-currency. I heard a lot of buzz about Waltonchain but I didn’t understand it until I read your article. I didn’t even know what an RFID chip was until you supplied the easy explanation for it. And because of that, I also now know exactly what the IoT is too. Really, your articles are some of the best I’ve come across. They offer such a wealth of organized information and supply the necessary information as to what a crypto asset does in a clean, articulate format. Thank you! Will be reading many, many more of your articles.